The Chilean man who has covered his body in Julia Roberts tattoos. 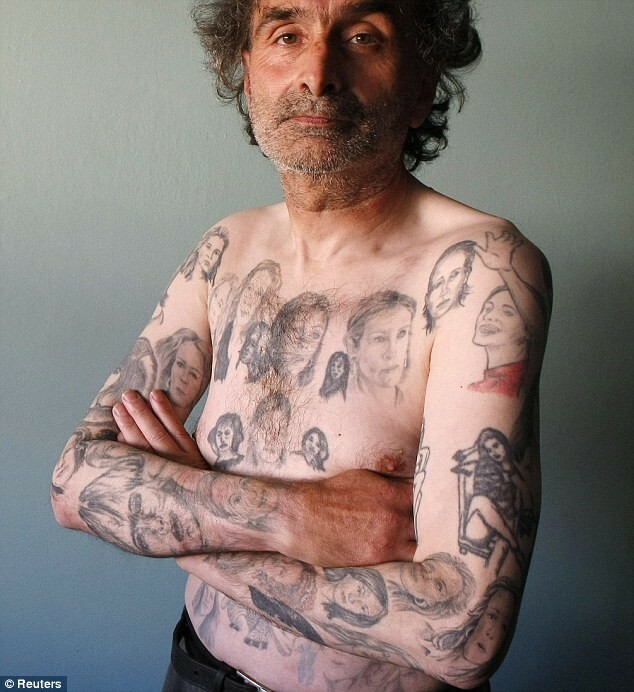 Miljenko Parserisas Bukovic is a newspaper vendor from Valparaiso in Chile who has spent the last ten years – and about $3000 – having 82 portraits of the actress tattooed on his torso and arms. Mr Bukovic, 56, started his collection after watching Miss Roberts’ Oscar-winning performance in the film Erin Brockovich. He says all the tattoos are inspired by scenes in the film.